The City of Amory is working toward a healthier tomorrow. We are doing so through the creation of new outdoor play spaces for the youth of Amory, through encouragement of healthy eating habits in conjunction with the USDA, and by joining groups such as the National League of Cities, Healthy Communities for a Healthy Future, Let’s Move, USDA Team Nutrition, Playful City USA, KaBOOM and the President’s Council for Fitness, Sports, and Nutrition. We are also working to create partnerships with local schools that are creating wonderful Sow It, Grow It, Eat It Programs, The Gilmore Foundation, various outreach programs, Three Rivers Planning and Development, GELI, and Amory Main Street. The City of Amory was awarded a 2012 Playful City Award for the first time in our city’s history because of our efforts. The City of Amory received the award for the second, third, fourth, and now fifth consecutive years in 2013 and continued throughout this year 2016! The City of Amory was one of only five cities and towns in the state of Mississippi selected for this great award in 2012. Because of this award, the city was able to apply for and win a grant for a new outdoor play space. The Pea Patch or Gilmore SportsPlex received a new playground (ADA accessible) in the Spring of 2013! The $15,000 grant was a match grant. This means the City of Amory provided a matching amount of $15,000 to make the playground budget total $30,000! This playground is located in the middle of an existing walking track. The area also boasts a pavilion with bathrooms, picnic tables, two large grills, three full-size ball fields, and a large parking area. This grant was a community build grant. The Healthy Hometown Committee (HHC) will be asking businesses to help promote the committee and our activities through a partnership program titled Healthy Hometown Partners (HHP). What is a Healthy Hometown Partner? A HHP is a business that promotes health and wellness in the citizens of Amory through support and promotion of the Healthy Hometown Initiative. We also ask that these businesses take a proactive step in creating activities and promotions that will get our citizens and visitors thinking about health and wellness. Your business displays our HHI Logo and QR codes in your store and promotes activities and events that are happening in Amory that encourage people to get out and play, exercise, or choose healthier eating options. In turn, your business and the steps you take to promote health and wellness (whether of your own creation or promotion of others’ activities) will be promoted by the City of Amory Healthy Hometown Committee in social media! You will be listed on the City of Amory website as a HHP showing your business information as well. Restaurants, printing businesses, advertisers, grocery stores, hair dressers, fitness facilities, sports facilities, convenience stores, and any other business interested in promoting a healthy lifestyle and future for the citizens of Amory may join by simply contacting the Healthy Hometown Committee at 662-256-5721 or jamiemorgan@cityofamoryms.com. The Mayor’s Healthy Hometown Initiative is guided by input from citizens and research into trends happening in the community! The community will come together to make this a great play space for our youth. Notice below that there is a link to our Map of Play. This is a website provided by KaBOOM! and Playful City USA that maps all of Amory’s designated play spaces for youth and adults. If you see something missing or have some great pictures to share, please send them to us at jamiemorgan@cityofamoryms.com for us to share! Mayor Brad Blalock (Healthy Hometown Champion), Alderman Buddy Carlisle, Alderman John Darden, Alderman Tony Poss, Alderman Glen Bingham, Alderman Tyrone James, Lori Bryant, Wilma Smith, Lana McGonagill, Lloyd Sweat, Dr. Hoat Hoang, Tony Cook, and student member Maggie Petty. This group will be receiving ideas from the community on ways to improve existing play and fitness areas and ideas on how to improve the health of the City of Amory. Keep an eye out around town for the QR Code and logo for the Healthy Hometown Initiative! The QR code will link you to our Map of Play around Amory and supporting businesses in food and exercise who are fitness partners for the Healthy Hometown Committee & Initiative. 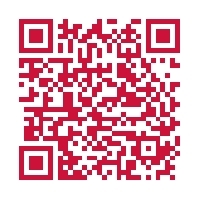 Scan these with your Smartphone to access our website and information on being all around healthier! The City of Amory’s program for healthier citizens is an ongoing and ever growing project. If you have ideas and suggestions, please feel free to share with us. There are many more projects in the works for play spaces and other things so keep your eyes open for news alerts. Please use our partner websites listed below for healthy resources for you and your children. Play isn’t just for children! East Amory Community center offers a place for senior citizens to exercise and socialize three times a week in Amory, Mississippi. For $4.00 a month senior citizens can enjoy aerobic exercise on Monday, Wednesday, and Friday at 9:00 a.m. every week. Fitness time is from 9:00 a.m. until 10:00. At 11:00, activities hour begins. The activity changes depending upon what the participants would like to do. The group also takes part in day trips. Last year the group went to Graceland and Ethridge, TN (home to the largest settlement of Amish in the South) as part of the day trip program. If you are interested in participating or know someone who might be, call 662-256-3221 and ask to speak to Wilma or Angel. The Senior Citizen Program is part of the Amory’s Healthy Hometown Initiative! Want a free online tool to help keep track of nutritional and caloric intake along with fat burning ideas? Try the SuperTracker provided free by the USDA. USDA Team Nutrition is a website where schools and child care centers that participate in the Federal Child Nutrition Programs can request free information regarding healthy eating habits, recipes, and tools to teach children about growing vegetables & eating healthy.You can download materials from teamnutrition.usda.gov if you are not a participant in the Federal Child Nutrition Programs. You can get materials for the Grow It, Try It, Like It! Program.Grow It, Try It, Like It! is a garden-themed nutrition education kit that introduces new fruits and vegetables to preschool age children. Grow It, Try It, Like It! 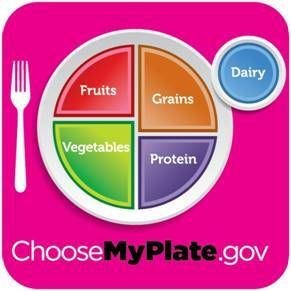 was funded by the U.S. Department of Agriculture’s (USDA) Team Nutrition. Team Nutrition is an initiative of the USDA’s Food and Nutrition Service to support the Child Nutrition Programs through training and technical assistance for foodservice, nutrition education for children and their caregivers, and school and community support for healthy eating and physical activity. The goal of Team Nutrition is to improve children’s lifelong eating and physical activity habits through nutrition education based on the principles of the Dietary Guidelines for Americans and the MyPyramid Food Guidance System. To learn more about Team Nutrition and nutrition in child care go to the Team Nutrition Web site at teamnutrition.usda.gov and the Healthy Meals Resource System Web site at nal.usda.gov/Childcare.